February is the shortest month of the year, and I'll admit that my February wasn't super exciting travel-wise this year… But I got up to some other cool things, so check them out! Much like January, February was a light travel month for me. I caught up on lots of work, began planning some of the bigger trips I'll be taking this year, and didn't actually leave the state of Ohio at all until the last day of the month. The best thing I ate: I didn't really go out very much this month (Elliot and I usually eat at home), but I did visit the West Side Market, a historic and delicious market in Cleveland. I got yummy falafel, some macarons, and some tasty beef jerky. 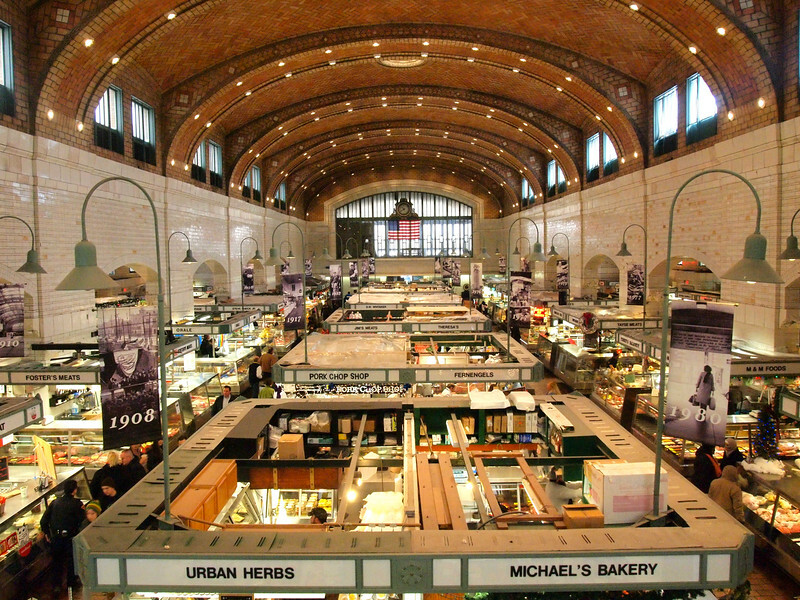 If you're ever in Cleveland, get yourself to Ohio City so you can visit the West Side Market for yourself. Like I said, I didn't really do any traveling this month – though as this post publishes I'll be attending a blogging conference at the Google in Silicon Valley, which I suppose is a pretty unique highlight! 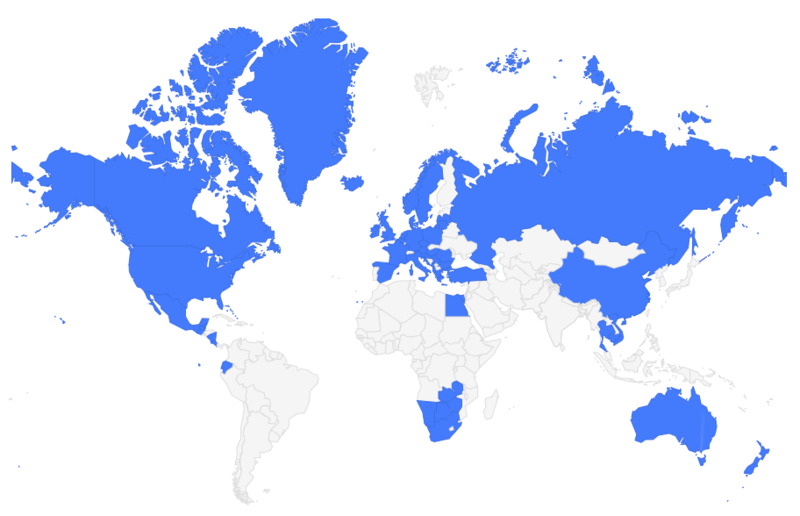 I guess just the fact that I didn't really do much traveling! Hanging out at Google is pretty cool, though! February traffic: 159,522 unique visitors, 235,748 pageviews – not bad for a month with just 28 days! Most popular post: 7 Cities in the Midwest You Need to Visit This Year – I'm so glad that this post covering my home region was so well-received! So many people traveling to the US only think about visiting places like New York and Los Angeles, but the American Midwest has some really cool things to see and do, too. This post takes a look at some of my favorite Midwestern cities and includes suggestions for what to do in each. An oldie but goodie (from a February past): Living Heritage at Taos Pueblo – I wrote this post two years ago about Taos Pueblo in New Mexico. It's a fascinating place, and this is a post I'm still really proud of! On my first two trips to Norway, I was pretty stubborn: I wanted to visit places that were slightly more off-the-beaten path instead of firmly on the tourist trail. ?? I didn’t do any famous hikes; I didn’t go to the Lofoten Islands; I didn’t even visit in the summer. I went to places like Trondheim and Alesund in the spring and Alta in the winter instead. But on my third trip, I decided it was time to finally see what all the fuss was about and visit Bergen. Bergen is one of the most popular cities in Norway… and now I understand why! Even though Bergen’s weather is usually ?, there’s no denying that this part of Norway is beautiful. The city is surrounded by seven mountains and contains plenty of colorful historic houses – which is a great combination! My latest blog post (link in profile) is all about what to do in Bergen on your first visit there. TELL ME: If you’ve been to Bergen before, what was your favorite thing you did there? Most popular Facebook post: This one about unique travel destinations on people's bucket lists. Most popular Pin: My Harry Potter train pin from Scotland! While January was a slow income month, February was more or less back to “normal” for me. Formalizing plans to lead tours in Iceland AND Greenland! If you guys have ever wanted to travel with me (or, you know, just really want to go to either Iceland or Greenland), here's your chance! This September/October I'll be co-leading two tours: one in South Iceland, and another in East Greenland. In Iceland, we'll be chasing waterfalls, soaking in hidden hot pools, hiking on glaciers, and hopefully teaching you how to photograph the Northern Lights. The next week, in Greenland, we'll be staying in local settlements, spending lots of time among icebergs, and looking for whales (and more Northern Lights!). 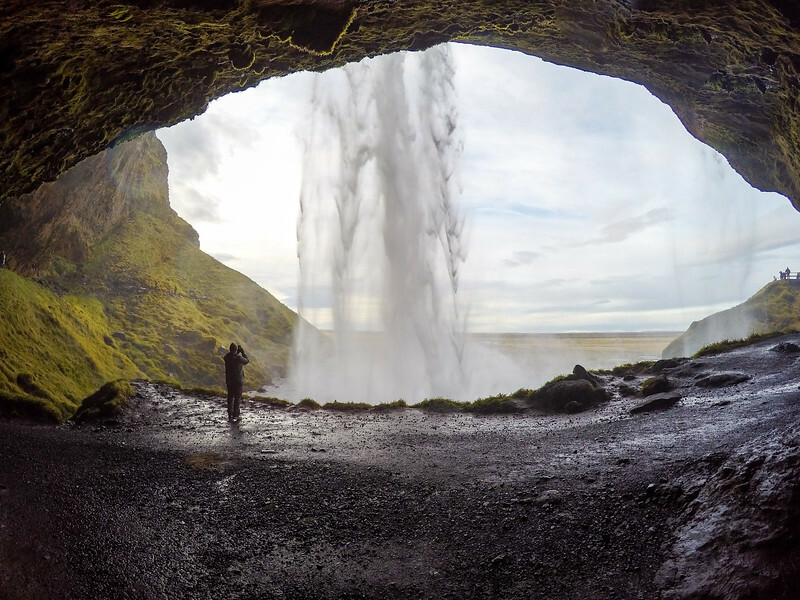 This will be one of the many cool waterfalls we'll see in Iceland! These tours have been built with (light) adventure and plenty of natural beauty in mind – and I'll be there to help you get the most epic Instagram shots! The Iceland trip is September 23-29, and the Greenland trip will run from September 29 to October 4. You can book one, the other, or both (with a discount if you book both). Check out the full itineraries here – and if you want to sign up, claim your spot soon since these will be small group trips! Right before I head off to Iceland, I'll be speaking at TravelCon, a brand new travel blogging conference taking place in Austin, Texas. The speaker lineup alone is INSANE (there are lots of pros from various fields, so you won't just be learning from travel bloggers! ), and I'm proud to have been invited to be on that list. I had a couple potential trips/projects fall through in February, which is never fun. But I think the lowest low of the month was my utter frustration with Instagram and its algorithms and the constant pressure to have more followers and to post more perfect pictures. Instagram used to be my favorite social network, and now it's the one I hate the most. It's so easy to start comparing yourself to others on the platform – and we all know that comparison is the thief of joy! In just about a week, Elliot and I will be flying to New Zealand for our “official” honeymoon! This will be my fifth trip to NZ, but Elliot's first – I can't wait to show him all my favorite spots and explore some new ones with him! We'll be doing everything from having dinner at Hobbiton to hiking on glaciers, plus lots more. We'll be driving around in a campervan, and I'll be sharing as much as I can with you on Facebook and Instagram Stories – so be sure to follow along! Wow, I thought I had amazing plan in March… 🙂 new zealand sounds like such a gorgeous place to visit! My February was slow in terms of travel as well but in March I’ll be looking forward (well…I’m already in Norway) to two trips! I didn’t do much in February, either. I mostly worked on blog stuff. However, I will finally be traveling at the end of this month! New Zealand sounds like an exciting trip and a great honeymoon spot. I hope to get there sometime soon! Can’t wait to be in NZ by this time next week! Hi Amanda! I’m currently in Auckland working in exchange for my hostel. I love it here in NZ! I’ve just been in the Auckland area but can’t wait to venture out to see the rest of NZ. Definitely try to see more of the country if you can! There are so many amazing spots in NZ.